Loyal and lively, these water-loving dogs make exceptional family members and hunting partners. Labs originated in Newfoundland in the 1800s and were bred from St. John’s water dogs. They were valued by fisherman for their trainability, trustworthiness, and work ethic. Fulfilling their retriever name, they would dive into icy cold waters to help pull in fishing nets and occasionally catch stray fish that had escaped. Today the Labrador comes in two varieties: the American (tall and lanky) or English (short and stocky). Both American and English ancestries present all three color versions—black, blonde, and brown. When given plenty of vigorous exercise and attention, these sweethearts are gentle and well-behaved in the home. All you need is a ball to throw and your Lab will love you for life! 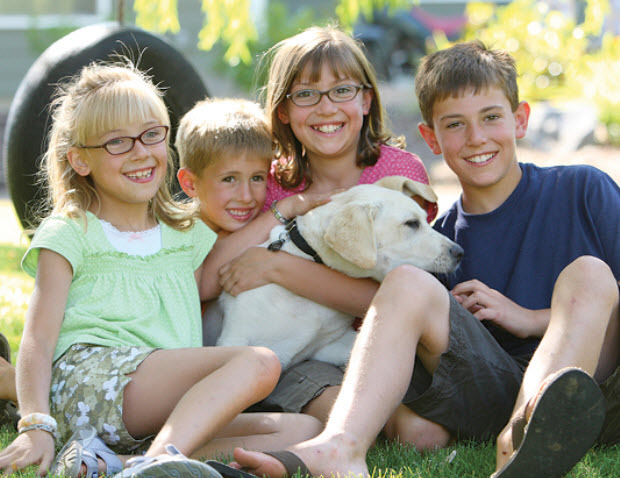 The Labrador Retriever is a generally healthy breed with an average lifespan of 11-13 years. We know that because you care so much about your dog, you want to take good care of her. That is why we have summarized the health concerns we will be discussing with you over the life of your Labrador. By knowing about health concerns specific to Labrador Retrievers, we can tailor a preventive health plan to watch for and hopefully prevent some predictable risks. Many diseases and health conditions are genetic, meaning they are related to your pet’s breed. There is a general consensus among canine genetic researchers and veterinary practitioners that the conditions we’ve described herein have a significant rate of incidence and/or impact in this breed. That does not mean your dog will have these problems; it just means that she is more at risk than other dogs. We will describe the most common issues seen in Labrador Retrievers to give you an idea of what may come up in her future. Of course, we can’t cover every possibility here, so always check with us if you notice any unusual signs or symptoms. 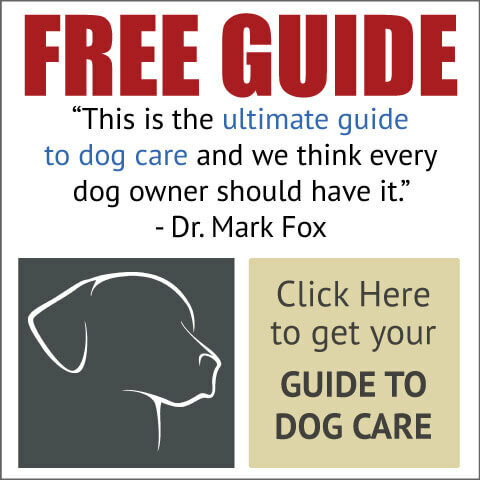 This guide contains general health information important to all canines as well as the most important genetic predispositions for Labrador Retrievers. This information helps you and us together plan for your pet’s unique medical needs. At the end of the article, we have also included a description of what you can do at home to keep your Lab looking and feeling her best. You will know what to watch for, and we will all feel better knowing that we’re taking the best possible care of your pal. Dental disease is the most common chronic problem in pets, affecting 80% of all dogs by age two. Unfortunately, your Lab is more likely than other dogs to have problems with her teeth. Dental disease starts with tartar build-up on the teeth and progresses to infection of the gums and roots of the teeth. If we don’t prevent or treat dental disease, your buddy may lose her teeth and be in danger of damage to her kidneys, liver, heart, and joints. In fact, your Lab's life span may even be cut short by one to three years! We’ll clean your dog’s teeth regularly and let you know what you can do at home to keep those pearly whites clean. Labrador Retrievers are susceptible to bacterial and viral infections — the same ones that all dogs can get — such as parvo, rabies, and distemper. Many of these infections are preventable through vaccination, which we will recommend based on her age, the diseases we see in our area, and other factors. Obesity can be a significant health problem in Labrador Retrievers. It is a serious disease that may cause or worsen joint problems, metabolic and digestive disorders, back pain, and heart disease. Though it’s tempting to give your pal food when she looks at you with those soulful eyes, you can “love her to death” with leftover people food and doggie treats. Instead, give her a hug, brush her fur or teeth, play a game with her, or perhaps take her for a walk. She’ll feel better, and so will you! All kinds of worms and bugs can invade your Lab's body, inside and out. Everything from fleas and ticks to ear mites can infest her skin and ears. Hookworms, roundworms, heartworms, and whipworms can get into her system in a number of ways: drinking unclean water, walking on contaminated soil, or being bitten by an infected mosquito. Some of these parasites can be transmitted to you or a family member and are a serious concern for everyone. For your canine friend, these parasites can cause pain, discomfort, and even death, so it’s important that we test for them on a regular basis. We’ll also recommend preventive medication as necessary to keep her healthy. One of the best things you can do for your Labrador is to have her spayed (neutered for males). In females, this means we surgically remove the ovaries and usually the uterus, and in males, it means we surgically remove the testicles. Spaying or neutering decreases the likelihood of certain types of cancers and eliminates the possibility of your pet becoming pregnant or fathering unwanted puppies. Performing this surgery also gives us a chance, while your pet is under anesthesia, to identify and address some of the diseases your dog is likely to develop. For example, if your pet needs hip X-rays or a puppy tooth extracted, this would be a good time—it’s more convenient for you and easier on your friend too. Routine blood testing prior to surgery also helps us to identify and take precautions against common problems that increase anesthetic or surgical risk. Don’t worry; we’ll discuss the specific problems we will be looking for when the time arrives. Gastric dilatation volvulus, also known as GDV or bloat, usually occurs in dogs with deep, narrow chests. This means your Labrador is more at risk than other breeds. When a dog bloats, the stomach twists on itself and fills with gas. The twisting cuts off the blood supply to the stomach and sometimes to the spleen. Left untreated, the disease is quickly fatal, sometimes in as little as half an hour. Your dog may retch or heave (but little or nothing comes up), act restless, have an enlarged abdomen, or lie in a prayer position (front feet down, rear end up). Preventive surgery in which the stomach is tacked down or sutured in place so that it is unlikely to twist is an option. If you see symptoms, take your pet to an emergency hospital immediately! 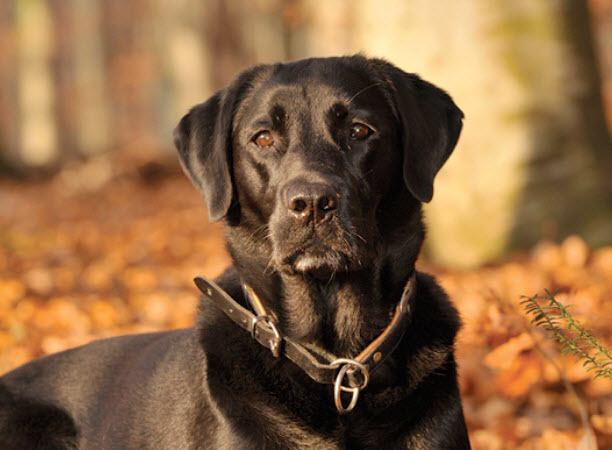 Your Lab is more likely than other dogs to have a liver disorder called portosystemic shunt (PSS). Some of the blood supply that should go to the liver goes around it instead, depriving the liver of the blood flow it needs to grow and function properly. If your friend has PSS, his liver cannot remove toxins from his bloodstream effectively. To check for this problem, we’ll conduct a liver function test in addition to a standard pre-anesthetic panel every time he undergoes anesthesia. If he develops symptoms such as stunted growth or seizures, we’ll test his blood and possibly conduct an ultrasound scan of his liver. Surgery may be needed, but in some cases, we can treat with a special diet and medication. 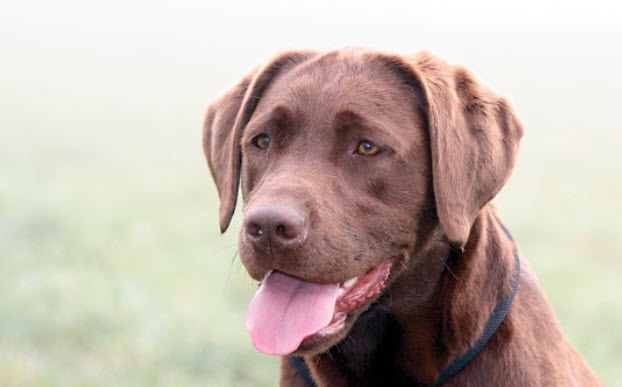 Your Labrador Retriever is prone to a chronic liver disease called hepatitis that may develop around middle age. Hepatitis is usually diagnosed through blood testing or liver biopsy, and can be treated with medication and special diets. Signs of liver disease do not usually occur until most of the liver is already damaged or destroyed, so early detection and intervention through routine blood screening is essential for early treatment. Your Labrador Retriever is prone to a bleeding disorder called hemophilia. We’ll conduct diagnostic testing to assess his blood clotting time before we perform surgery. This is an important test as we may not otherwise know whether your pet has hemophilia until severe bleeding occurs during surgery or after a serious injury. Labradors are particularly prone to some relatively rare diseases of the blood that occur when the immune system goes haywire and starts attacking the pet’s own red blood cells or platelets. If the immune system destroys red blood cells, your dog quickly becomes anemic, weak, and lethargic. His gums will look whitish or yellow instead of a normal bright pink color. If the immune system destroys platelets, his blood won’t clot properly and he’ll have bruises or abnormal bleeding. We’ll perform diagnostic testing for blood clotting to check for these problems before we perform any surgeries. To slow or stop the immune system’s destruction of cells, we’ll prescribe steroids and other immune-suppressive drugs. Sometimes an emergency transfusion of red blood cells or platelets is needed. 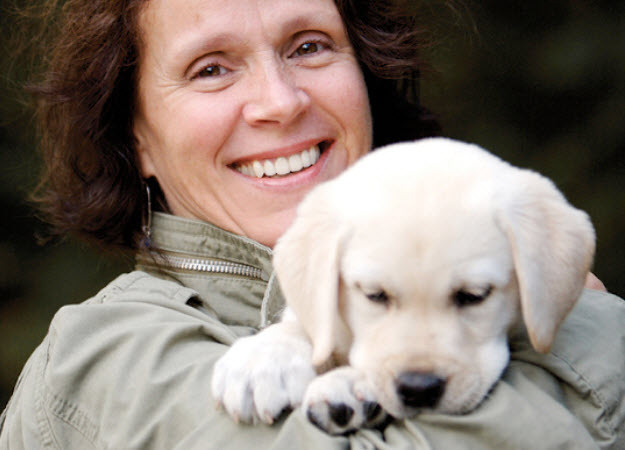 A number of different musculoskeletal problems have been reported in Labrador Retrievers. While it may seem overwhelming, each condition can be diagnosed and treated to prevent undue pain and suffering. With diligent observation at home and knowledge about the diseases that may affect your friend's bones, joints, or muscles, you will be able to take great care of him throughout his life. Both hips and elbows are at risk for dysplasia, an inherited disease that causes the joints to develop improperly and results in arthritis. Stiffness in your Labrador's elbows or hips may become a problem for him, especially as he matures. You may notice that he begins to show lameness in his legs or has difficulty getting up from lying down. We can treat the arthritis—the sooner the better—to minimize discomfort and pain. We’ll take X-rays of your dog’s bones to identify issues as early as possible. Surgery is also sometimes a good option in severe and life-limiting cases. And keep in mind that overweight dogs may develop arthritis years earlier than those of normal weight, causing undue pain and suffering! The cranial cruciate ligament is one of four tough bands of tissue that hold each knee together. A torn cranial cruciate ligament is a common injury in active dogs, including your Lab. Usually, surgical correction can stabilize the knee and help prevent crippling arthritis. Physical therapy and multimodal pain management are necessary for the best outcomes. Keeping him at the right weight, feeding a high-quality diet, and avoiding too much twisting of the knees (like when playing Frisbee) are key in avoiding these painful injuries. When Labrador puppies are allowed to grow too quickly, the cartilage in their joints may not attach to the bones properly. This problem is known as osteochondritis dissecans, or OCD. If this occurs, surgery may be required to fix the problem. Our recommended growth rate for Labrador Retriever puppies is no more than four pounds per week. To maintain this rate, don’t overfeed him and don’t supplement with additional calcium. Feed a large-breed puppy diet rather than an adult or regular puppy diet. And weigh your puppy every three to four weeks to make sure he’s on track. Diabetes mellitus is a fairly common disease in dogs. 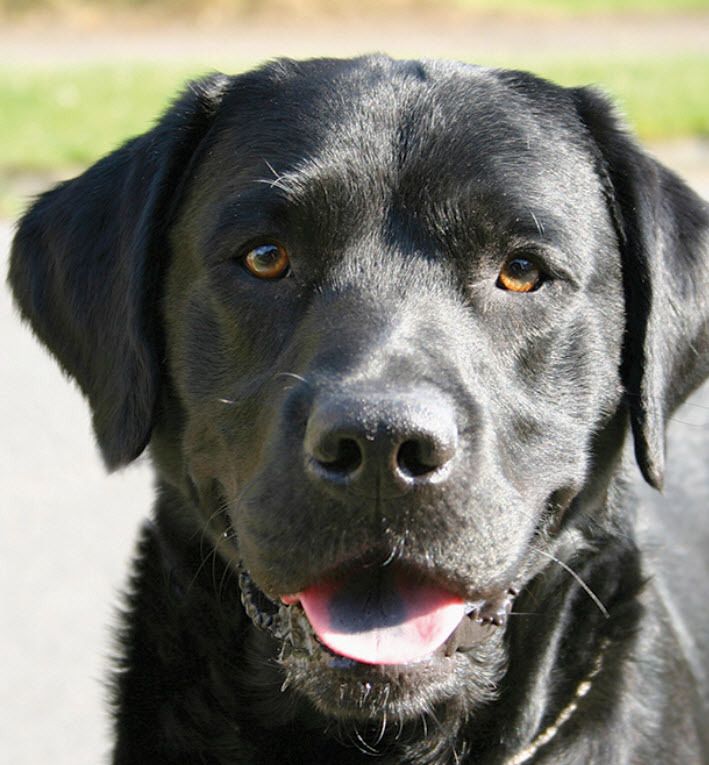 Any breed can be affected, but Labs have an above average incidence. Dogs with diabetes are unable to regulate the metabolism of sugars in their bodies and require daily insulin injections. Diabetes is a serious condition and one that is important to diagnose and treat as early as possible. Symptoms include increased eating, drinking, and urination, along with weight loss. If he shows signs, we will conduct lab tests to determine if he has this condition and discuss treatment options with you. Treatment requires a serious commitment of time and resources. Well-regulated diabetic dogs today have the same life expectancy as other canines. In humans, allergies to pollen, mold, or dust make people sneeze. In dogs, rather than sneezing, allergies make their skin itchy. We call this skin allergy “atopy”, and Labradors often have it. The feet, belly, folds of the skin, and ears are most commonly affected. Symptoms typically start between the ages of one and three and can get worse every year. Licking the paws, rubbing the face, and frequent ear infections are the most common signs of allergies. The good news is that there are many treatment options available for these conditions. Hemangiosarcoma is a type of bleeding tumor that affects Labrador Retrievers at greater than average incidence. These tumors commonly form in the spleen, but can form in other organs as well. Unbeknownst to a pet owner, the tumor breaks open and internal bleeding occurs. Some tumors can be volleyball-sized or larger before signs of sickness show. We often find clues that one of these tumors is present during senior wellness testing, so have his blood tested and an ultrasound performed at least yearly. Lymphoma or lymphosarcoma is a type of cancer that afflicts Labrador Retrievers more than other breeds. This disease makes the body form abnormal lymphocytes, which are a type of white blood cell. Because white blood cells can be found throughout the body, this cancer can show up almost anywhere. Lymphoma is a very treatable form of cancer with an excellent success rate in dogs receiving chemotherapy. Luckily, lymphoma is one of the few types of cancer that can often be found with a blood test, so we may recommend a complete blood count twice yearly. Watch for swollen glands (ask us, we’ll show you where to look), weight loss, or labored breathing at home and be sure to call us if you notice any unusual symptoms. Not many things have as dramatic an impact on your dog's quality of life as the proper functioning of his eyes. Unfortunately, Labrador Retrievers can inherit or develop a number of different eye conditions, some of which may cause blindness if not treated right away, and most of which can be extremely painful! We will evaluate his eyes at every examination to look for any signs of concern. Cushing's Disease is a malfunction of the adrenal glands that causes them to produce too much steroid hormone. This is a common problem in dogs, and your Lab is more likely than other dogs to be affected. The condition usually develops slowly, and the early signs are easily missed. Symptoms include drinking and urinating more than normal, increased appetite, and reduced activity level followed later by a potbelly, thin skin, and hair loss. Treatment usually includes oral medications and requires close coordination with us to ensure correct dosing. There are three types of seizures in dogs: reactive, secondary, and primary. Reactive seizures are caused by the brain's reaction to a metabolic problem like low blood sugar, organ failure, or a toxin. Secondary seizures are the result of a brain tumor, stroke, or trauma. If no other cause can be found, the disease is called primary or idiopathic epilepsy. This problem is often an inherited condition, and Labrador Retrievers are commonly afflicted. If your friend is prone to seizures, episodes will usually begin between six months and three years of age. An initial diagnostic workup may help find the cause. Lifelong medication is usually necessary to help keep seizures under control with periodic blood testing required to monitor side effects and efficacy. If your dog has a seizure, carefully prevent him from injuring himself, but don't try to control his mouth or tongue. It won't help him, and he may bite you accidentally! Note the length of the seizure, and call us at 215-515-5542 or call an emergency hospital. Some breeds like your Labrador can be born with a variety of heart defects. Most affect the structure of the heart’s dividing wall or the vessels of the heart. Defects can also cause problems with heart valve function or the electrical signals that control the heartbeat. Because of the significant risk of heart disease in this breed, we’ll pay special attention to his heart during each examination. Special testing will be recommended if we hear a heart murmur or if you notice any unusual symptoms such as tiring easily, coughing, a swollen belly, or fainting. Exercise induced collapse, or EIC, is just what it sounds like – a young, apparently healthy Labrador collapses to the ground suddenly while exercising. After a few minutes, the weakness passes and he is able to get up again. Dogs affected with EIC cannot run or exert themselves for long periods of time, especially not in hot weather, so a day of hunting or strenuous hiking is not a good idea for these pets. Heat stroke can also occur in conjunction with EIC. Limiting your pet’s exercise is the only treatment for EIC and pet parents should be vigilant to avoid overheating. Genetic testing can be done to diagnose this disease and to screen dogs before breeding. Labrador Retrievers may develop a disease of the muscles called myopathy between three and seven months of age. Physical signs of myopathy include bunny hopping, loss of muscle tone in the limbs, a stiff gait, and carrying the head low. If we suspect that your dog has this disease, we’ll conduct tests to be sure. Typically, affected pets are treated through reduced stress and occasionally with medication as well. Most dogs with myopathy are stabilized by twelve months of age and are able to have a normal life span. While they are suitable as house companions, strenuous exercise is not recommended, so no hunting or working! Much of what you can do to keep your dog happy and healthy is common sense, just like it is for people. Watch her diet, make sure she gets plenty of exercise, regularly brush her teeth and coat, and call us or a pet emergency hospital when something seems unusual (see “What to Watch For” below). Be sure to adhere to the schedule of examinations and vaccinations that we recommend for her. This is when we’ll give her the necessary “check-ups” and test for diseases and conditions that are common in Labradors. Another very important step in caring for your pet is signing up for pet health insurance. There will certainly be medical tests and procedures she will need throughout her life and pet health insurance will help you cover those costs. Build her routine care into your schedule to help your Lab live longer, stay healthier, and be happier during her lifetime. We cannot overemphasize the importance of a proper diet and exercise routine. Labrador Retrievers generally have good teeth, and you can keep them perfect by brushing them at least twice a week! Always walk your Lab on a leash as she has a tendency to run off after interesting smells and people. She has a passion for water, and swimming is a perfect form of exercise for this water retriever. Any abnormal symptom could be a sign of serious disease or it could just be a minor or temporary problem. The important thing is to be able to tell when to seek veterinary help and how urgently. Many diseases cause dogs to have a characteristic combination of symptoms, which together can be a clear signal that your Labrador Retriever needs help.